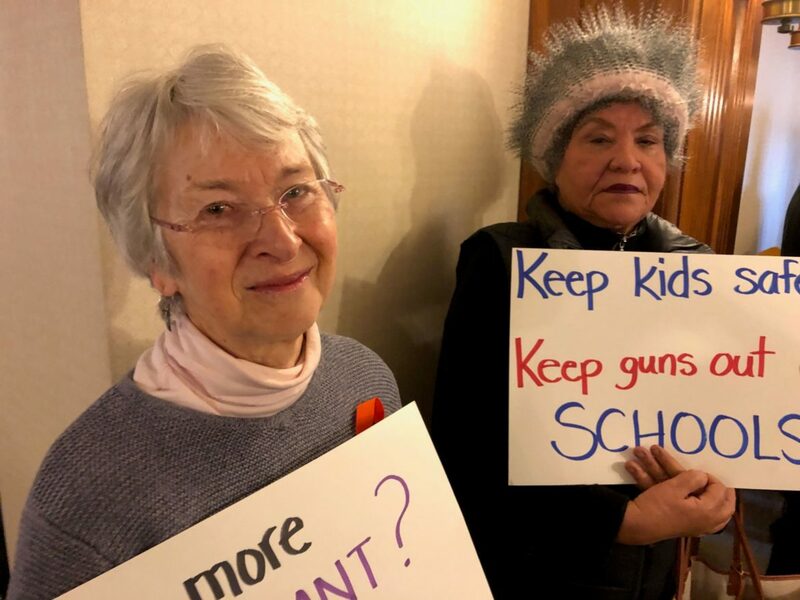 Doris Hampton of Canterbury and Ruth Sanchez of Concord carried signs in the Legislative Office Building in support of HB101 relative to regulating possession of firearms in a school district. 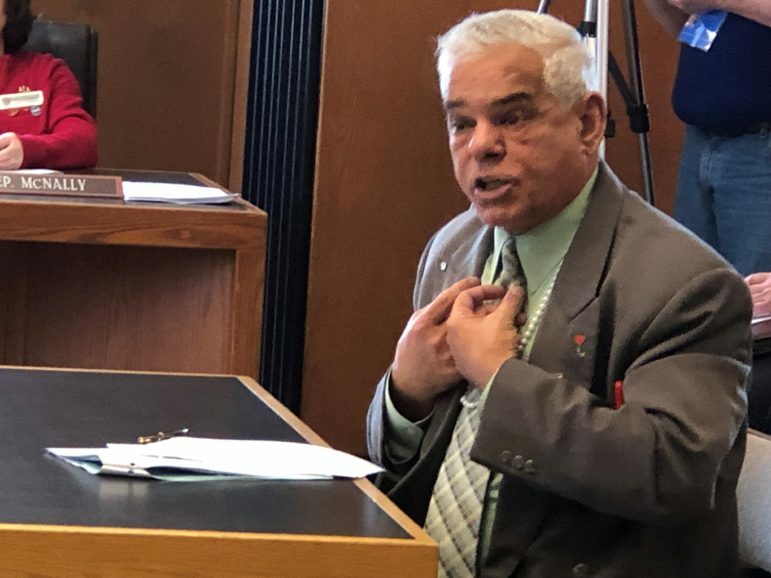 Rep. Al Baldasaro, R-Londonderry, is pictured testifying against HB 109 at a legislative hearing on Wednesday. CONCORD – A series of house bills that would limit gun possession in schools and close a loophole for sales at gun shows attracted more than 100 gun rights advocates to the State House Wednesday who demanded legislators reject all measures. Another measure, House Bill 514, would impose a seven-day waiting period between purchase and delivery of a firearm. There is no waiting period now. House Bills 101 and 564 would allow for the creation of gun-free zones at schools. New Hampshire is considered the third safest state in the nation, according to 2017 Federal Bureau of Investigation statistics. It has some of the highest per capita gun ownerships and is among a handful of states that have been spared a mass shooting in schools, the House Education Committee was told. Sponsored by state Rep. Mary Heath, D-Manchester, the bill would amend RSA 159 to make it a Class A misdemeanor to knowingly carry a firearm in a safe school zone. Exceptions would be for any law enforcement officer or student resource officer, or a person authorized in writing to possess a firearm by the school, and those dropping off and or picking up students who have a weapon in a motor vehicle that is not loaded and is in either a locked container or a locked rack. Correction: The story should have said House Bill 514 would impose a seven-day waiting period and there is no waiting period now.